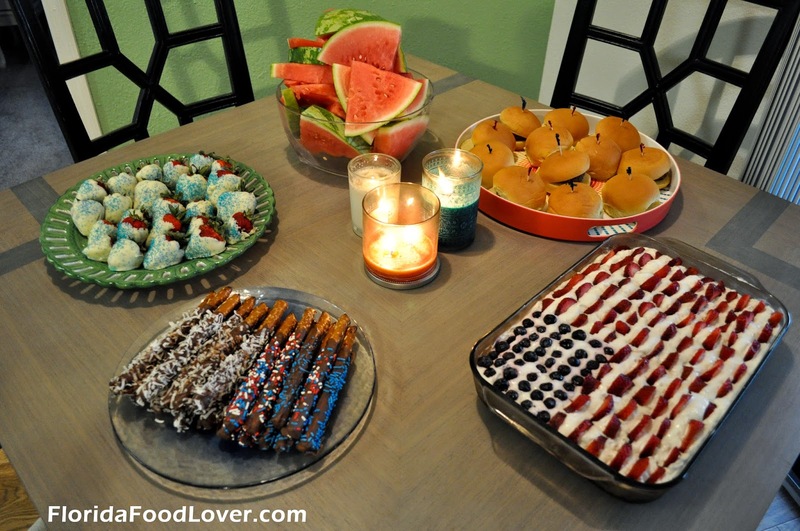 Tomorrow is the 4th of July, so today I’m sharing recipes I’ve made previous years. 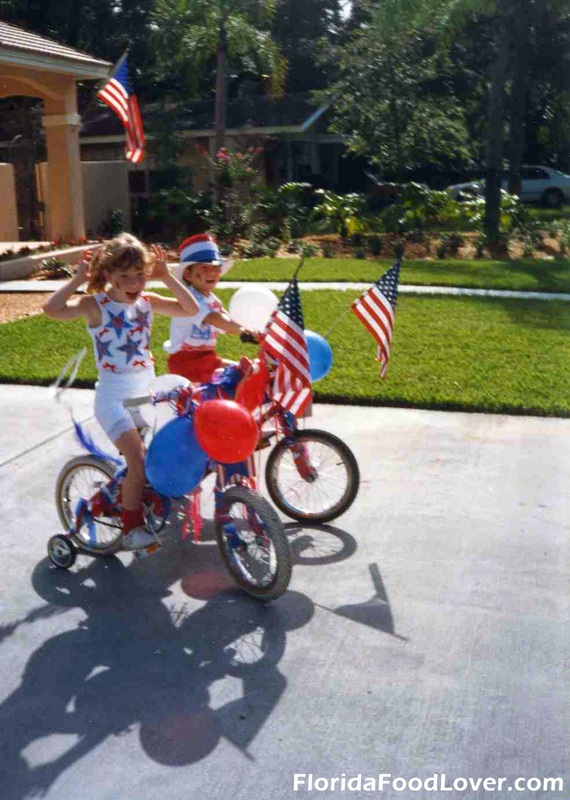 When I was a kid, our neighborhood had a parade that ended with a big block party with a competition to see whose bike was decorated the best. In recent years, I’ve celebrated the 4th by making patriotic foods. For the last potluck, I made my mom’s recipe for coconut cake topped with a strawberry & blueberry flag decoration (recipe below). 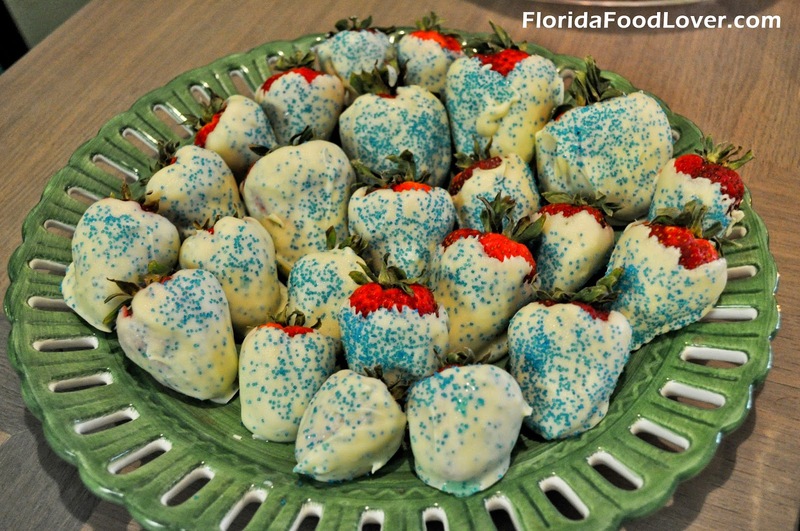 I also made white chocolate dipped strawberries with blue sprinkles, and chocolate dipped pretzel rods with sprinkles, almonds, or coconut. 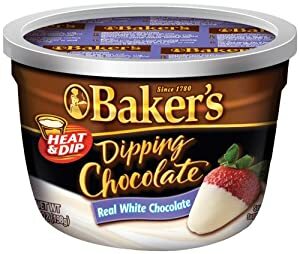 The recipes for those are pretty self-explanatory…I usually use Baker’s brand dipping chocolate. I’ll also include a recipe below for my Star-Crust Apple Pie that I made 3 years ago. 1. Bake white cake mix as directed, but with the addition of 1/3 the bag of coconut to the ingredients. 2. 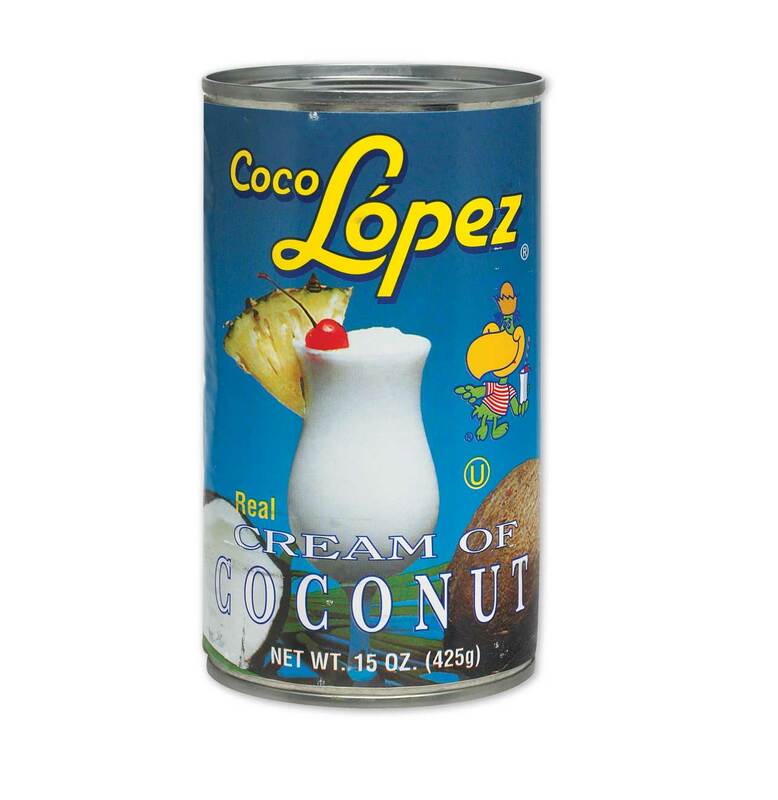 Right when you take it out of the oven, poke holes with a fork and pour cream of coconut over the cake. 3. Allow cake to cool. 4. For the normal version of the cake, mix the remaining bag of coconut with the Cool Whip then spread evenly over the cake. 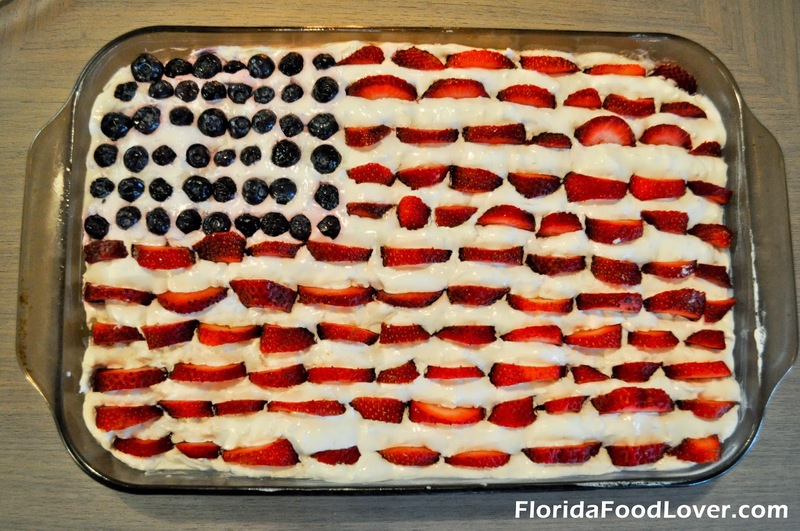 For the 4th of July version, just spread the Cool Whip over the cake, then arrange the strawberries and blueberries in the shape of an American flag. 1. First, make the dough. Combine the flour, sugar and salt in the bowl of a stand mixer fitted with the paddle attachment. Mix briefly to blend. Add in the butter pieces and mix on medium-low speed to cut the butter into the flour until the mixture resembles coarse sand and the largest butter pieces are not much bigger than peas. Mix in the cold water on low speed just until the dough comes together. 2. Shape the dough into 2 balls, wrap in plastic wrap and chill in the refrigerator for at least 30 minutes. 3. Take the first ball of dough out of the fridge & roll out on a lightly floured work surface. Place in the bottom of a greased 12” pie pan, crimping the edges. Place pie pan back in the fridge. 4. Preheat your oven to 400˚ F with an oven rack in the upper-middle position. 5. In a large mixing bowl, combine the sliced apples, sugars, flour, spices and lemon juice. Toss well to combine. 6. Pour the apple mixture and accumulated juices into the bottom pie crust and use a spatula to even the top out slightly. Dot the surface of the apples with the pieces of cold butter. 7. Roll out the remaining pie dough on a floured work surface. Cut out numerous star shapes and use these to cover the top of the pie. Brush the top and edges of the crust with the egg wash.
8. Place the pie on the upper rack and bake until the crust is golden brown and juices are bubbling, about 50 – 60 minutes. Make sure to place a sheet pan on the rack below to catch any juices that may bubble over. Keep an eye on it since all ovens cook differently (mine got slightly too toasted on the edges). 9. Transfer to a wire rack and allow to cool for at least 30 minutes before slicing. Serve on its own or à la mode with vanilla ice cream.